Product #1329 | SKU BGE9 | 0.0 (no ratings yet) Thanks for your rating! 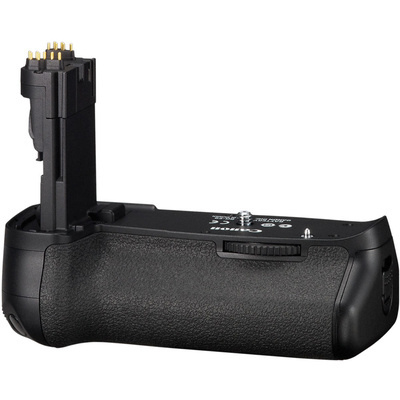 The BG-E9 Battery Grip from Canon is a very useful accessory to have on hand for your EOS 60D DSLR. It not only offers you the added convenience of a vertical shutter release but contains the additional benefits of AE/FAE Lock, AF Point Selection, Magnify Button and Aperture Exposure Compensation. There is an easy-to-use attach/detach mechanism. The grip also provides extra heft to the camera giving you more to hold on to. It operates on either two optional LP-E6 Lithium-ion batteries or six optional "AA" batteries.